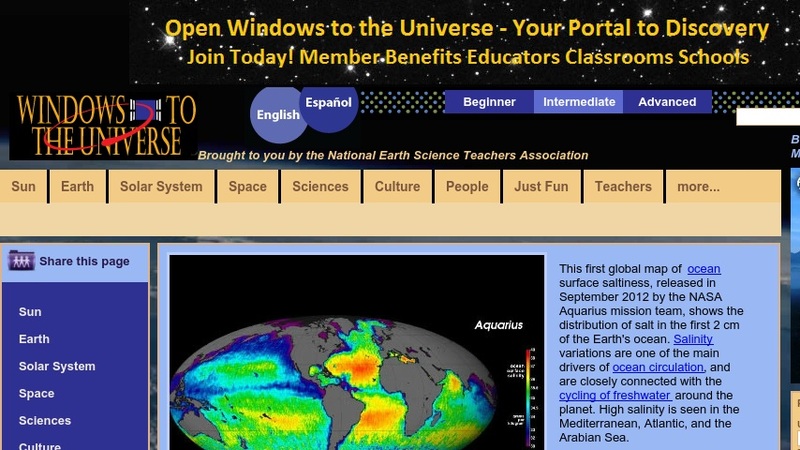 This learning system provides a variety of materials on Earth and space sciences, such as images, movies, animations, and data sets. Students, teachers, and the general public can access information on the sun and space weather, astronomy, our planet and solar system, current space missions, space-related mythology and art, and geology. For teachers, there are links to tools for navigating the site, activities and lesson plans, a keyword search for educational standards, a "Share-A-Thon" forum page, and links to other educational materials. Users can select from three reading levels, and a Spanish translation is available.